Whether you are looking for transport for a chaff cutter, harvesting machine or other large machinery, M. Bakkers Transport has the capacity to offer all large and small agricultural machinery transport services. Whatever you need, they will deliver. 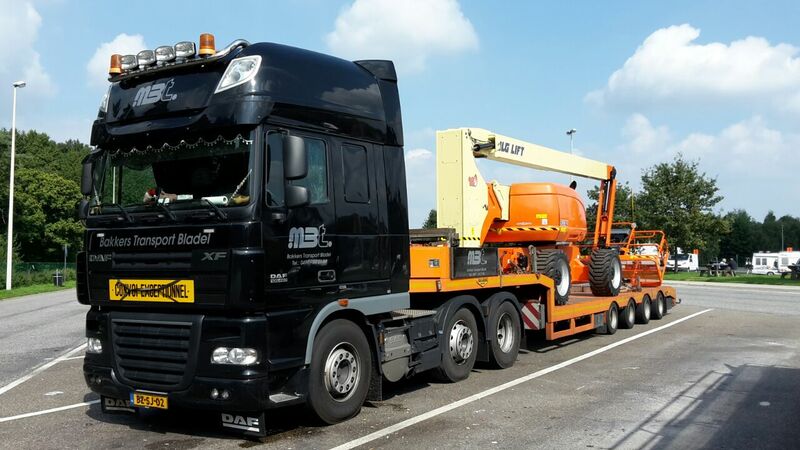 On time and for an attractive rate, M. Bakkers Transport B.V. has built the company on these two pillars and offers the best quality when it comes to agricultural machinery transport services. The story of M. Bakkers Transport starts in 1996 with Marc Bakkers who started using his own tractor to move goods and supplies for several companies. Over the years the fleet expanded with several other tractors and specialized transporting equipment such as semi-flatbed trailers or transporting heavy machinery, bulk trucks and closed loaders for transporting valuable goods. In these years, the company has grown to an extend in which they now have the capacity to transport almost anything. It’s not just about the hardware though, the agricultural machinery transport services that M. Bakkers Transport offers is one that will deliver your machinery right up to your doorstep, no matter how remote the location. If you would like to receive more information about the agricultural transport services that M. Bakkers has to offer, please contact us at +31 (0)497-64 21 86 for more information.